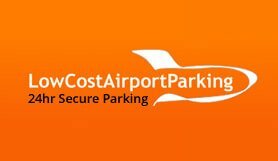 Lowcost Parking is located just outside the airport with regular frequent courtesy buses to and from the terminal building (5/10 minutes transfer ). The car park has larger spaces for larger vehicles with no height or size restrictions. Also full valeting onsite services available. ‘ Lowcost Parking ‘can take any size vehicle but larger commercial vehicles may be subject to an extra charge, and this will be assessed on arrival if any extra charges are appropriate. The car parks have allocated disabled parking spaces – and can assist and carry wheelchairs on all of the courtesy buses but do not have wheelchair access. Once you have booked please call the car park 24 hrs for any further assistance to be arranged for you, as Flying Scot are very happy to help. Please take along a copy of your confirmation/ email with you on your day of travel. Park in one of the bays outside the reception, then head inside to the check in desk . Show your confirmation and the staff will take your keys and store them safely for you free. Staff will give you a full vat receipt and your car will be parked for you. There is a free courtesy bus service to the terminal. It runs every two minutes from(Flying Scot Edinburgh ) or every 10 minutes from ( Lowcost Parking ). On your return please use the courtesy phones LowcostParking located just outside the domestic and international arrivals hall or at the front doors or you can use your mobile and make your way to stand 7 for collection. Leave the M9 at junction 1, taking the Newbridge exit at the roundabout, signposted for the B7030. Park in one of the bays outside reception, then head inside to check in. Show your confirmation and hand in your keys. Staff will give you a receipt and you car will be parked for you. There's a free transfer bus to the terminal. It runs every 20 minutes and takes 6 minutes to get to the terminal.